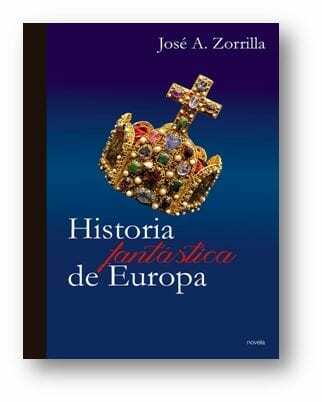 I just published my latest book An Imaginary History of Europe and friends keep asking me: ‘why a history of Europe? And, of course, why imaginary?’ Well, I felt compelled to think a bit (three years, actually) about the Continent in which I was born and live. For confusion is prevalent, noise deafening. Looks sometimes like a break in a primary school. Everybody has created his own club inside the EU: Visegrad; Three Oceans Initiative; Countries of the South, and of course, the mother of all crazes, Brexit. From the transatlantic front there are novelties too. It was always difficult to be a European federalist and an Atlantist. For me, it is self evident that the US is the model for a European Federation. But what for me is self evident, for mainstream Atlantists is anathema. I would sum up the situation by saying that the most ardent European federalists want to follow the US model and turn the Continent into a Federation. Whereas regular Atlantists prefer that European countries remain separated under the American protectorate of NATO. This way, they claim, their countries shall continue being sovereign. How can you be sovereign and be part of a Protectorate is not for me to say. The situation was already calamitous enough when the American people decided to put Mr. Trump in the White House, a man who has hailed the victory of Brexiteers and wished all other countries of Europe to follow suit. Something that puts Washington in the same league as Putin, ever ready to fund Le Pen´s crusade in France and hack the most sophisticated Internet networks of the planet. Of course, being a European federalist I did not like all this mayhem. So, I decided to write a book. As explained, it took me the best part of three years. How to address the issue of Europeanism if you are a European federalist like Hamilton and want a modicum of readers for your book? A non-fiction text is a bore, there are many. And to write a book of history was out of question. First of all I am not a scholar. Second, I am fed up with history books written by specialists. Each of the fifty chapters or so is entrusted to a person who has devoted life and career to the study of, say, pre Roman Britannia. The prologue is always stock material. Imaginary quote from the respected scholar: “Though to discuss this issue an Encyclopaedia would be needed and I have only ten pages…” You get the idea. Therefore my attempt would have to be imaginary. For the alternative would have been to write a “national” history of Europe, very much like Banville or Trevelyan wrote national histories of France and England early in the Twentieth Century. Problem is that it would have been not fantasy but falsity, which is the opposite of truth. Two, I think that the ‘nation’ is a thing of the past in Europe and offers no interest to the European federalists. We do not want to build a European nation. It is not only impossible; it is undesirable. What we need instead is a space of cosmopolitan encounters. The model could be Trieste before the fall of the Habsburgs or Alexandria before decolonisation. This begs for an explanation. A city is a city is a city and not the locus of any sovereignty unless we go back to the days of Greece or Renaissance Italy. Granted, I am not offering a sovereign alternative, just describing how should be the fabric of a future Europe: a social canvas without compulsory national narrative or definite language as pillar of a common identity. Citizens around there should be of all possible denominations and carry no specific social identity with them. On top of that, of course, some form of sovereign factor should complete the construct. And, if city and state do not seem to fit, the only alternative seems to be an empire. Of course I do not want to crown an idiosyncratic biography defending now an Imperial Europe. I am not an Imperialist. But it is a good idea to remind everybody of the fundamentals of sovereignty so that you may understand my point. In an empire the sovereignty is something external: it rests in the emperor. Problems begin when you behead the sovereign. Where to put the sovereignty if the sovereign is gone? The French answer (and the Spanish reply to the French) was to place it in the people. And here the tricks begin. Inside, for the degree of violence you have to press on your subjects to turn them into citizens is considerable. You have to force them to learn a single and official language, to be socialized in collective invented values and to sacrifice their lives if need be, in the name of the Fatherland, against another societies equally sovereign like yours. For this is the second trap. All spaces become also sovereign and there can be no social contract among them, therefore not perpetual peace- Kant notwithstanding. For if you are entitled to pursue a national agenda so are all the other political entities around you. A social contract is strictly reserved for the citizens of the nation. All other nations are fair game. The consequences are well known. All it takes is a little outing in the fields of France to discover the tombs of thousands of young Isaacs sacrificed to the Moloch of patriotism. Not that there were not wars in the days of empires. But there were wars among rulers, not peoples. Goya’s sketches of the “Disasters of War” would have been unthinkable twenty years before the advent of the Age of Revolution. War was more like Velazquez´s “The Surrender of Breda” where it is difficult to distinguish the victor from the vanquished. Therefore, not being a scholar and considering the nation a thing of the past and a dysfunctional murderous discovery, the best alternative was to cover the issue both ways, imaginary and imperial, by writing an imaginary history of a European empire. Besides, that strategy allowed me absolute freedom. To be honest, I began the task perusing books about dates and names. It took me a couple of weeks to realize that matching facts and fiction was impossible. So I went for the imaginary full speed ahead. The Cid and Roland became buddy beers. In real life the span between them is something like three hundred years. Who cares? After all their friendship drives to the victory of Roncesvalles and to the original and legitimizing Imperial acclamation: Europe, Europe, Europe! A good friend of mine, both a writer, a woman of action and a European MP, Maite Pagazaurtundúa, (say just Pagaza), warned the prospective readers. You should expect something like Thomas Moore and his Utopia or Jonathan Swift and his Gulliver. Agreed. That is the logic of it, and the argument goes back to the days of Late Antiquity. I know our present disquisitions do not usually go that far. But the moment has come to quote the Church Fathers, the likes of Clement of Alexandria, John Chrysostom, Origen et alia. When faced with the fact that they had a pagan empire above their heads they defended both Christendom and the Roman Empire as its champion. The argument was simple and went beyond the confession of faith to dig into the bowels of sovereignty. Many kingdoms would have made the spread of Christendom impossible, for many kings meant many wars whereas one Imperial power gave Christian thought the chance to grow and thrive. Take note those who believe in the perpetual Kantian peace, please. The argument was again invoked contrary-wise by the Romantic German thinkers, when Schlegel and others reminded the “civilized” Romance nations that had it not been for the “Germanic barbarians kingdoms” the West would have fallen like Byzantium did. Both the Fathers and the German Romantics were right. And the way to reconcile both contradictory statements would be to find all of us inside the shelter of a united Europe. Considering the difficulties of the deed in real life, I chose to write a History where Byzantium does not fall, for it is defended by both the British master of the spies Smiley (“Risor”) and by the German genius of war, Marshall Rommel. Going on with the fantasy, the Mongols did not build an empire of their own but rather put their superb administrative capabilities to the service of the European Caesar, Basileus, Isoapostolous, Son of Heaven, Imperator, Great Khan, King of Kings, King of Jerusalem and other minor titles. So did Marx and Engels, duly married according to the Greek custom, who became Mandarins of the Fergana Valley and conservatives to the marrow of their bones. For was not Athens a cooperative where the silver mines of Laurion were collective property and the crops given to the Arcontes to be managed? To top it all, Hamlet, Ambassador of the Empire, condemns wine in front of Saladin, whereas the Sultan´s champion, the poet Hafez, defends drunkenness.